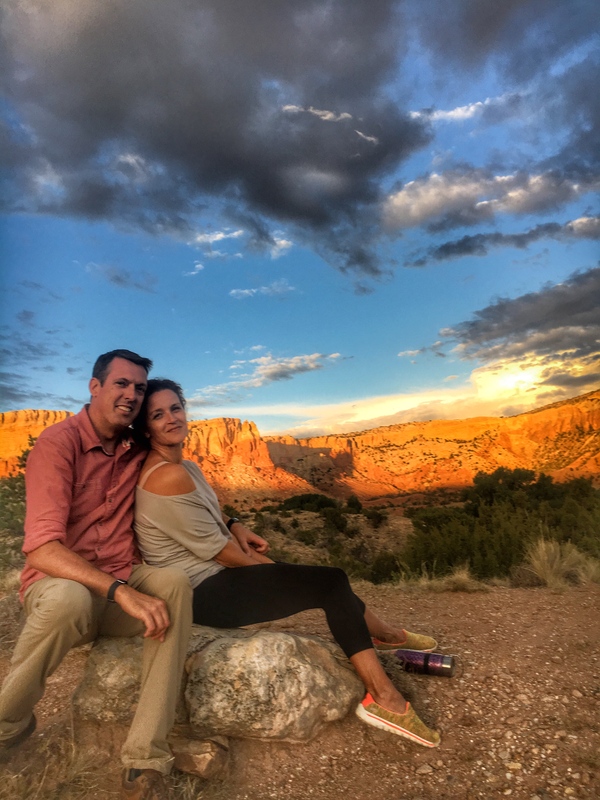 We boldly leave Santa Fe…and only make it an hour down the road. – Don't make me turn this van around! Even a nice hotel room starts to feel like prison when sharing it with kids for four days. 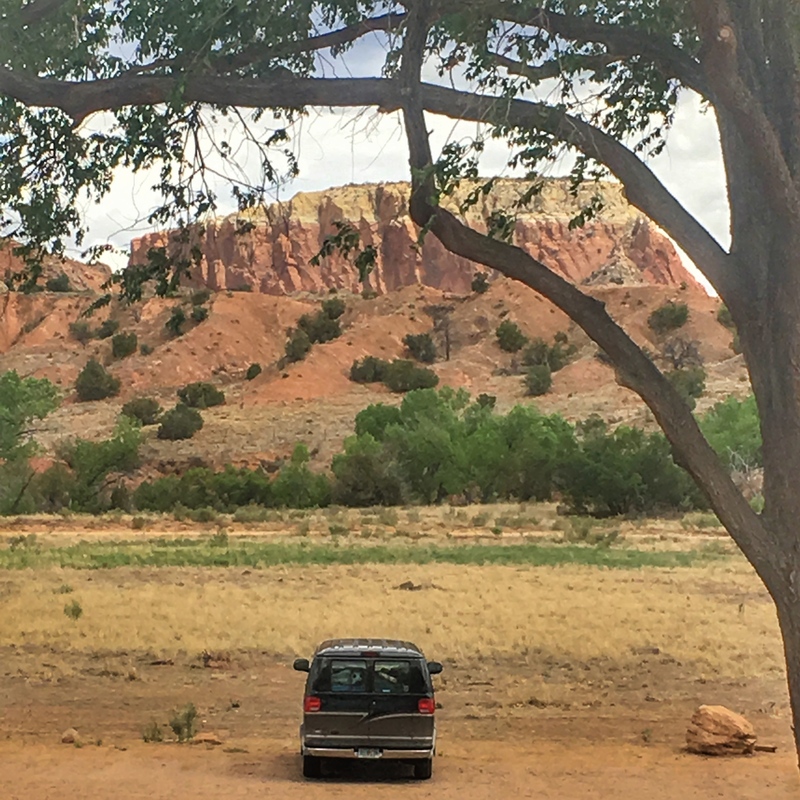 The atmosphere was a little tense as we began our five-hour drive northwest to Mesa Verde National Park in Colorado. Shortly into the trip, the kids dozed off. We passed historic markers for the desert home in Abiquiu of renowned painter Georgia O’Keeffe. We pressed on. 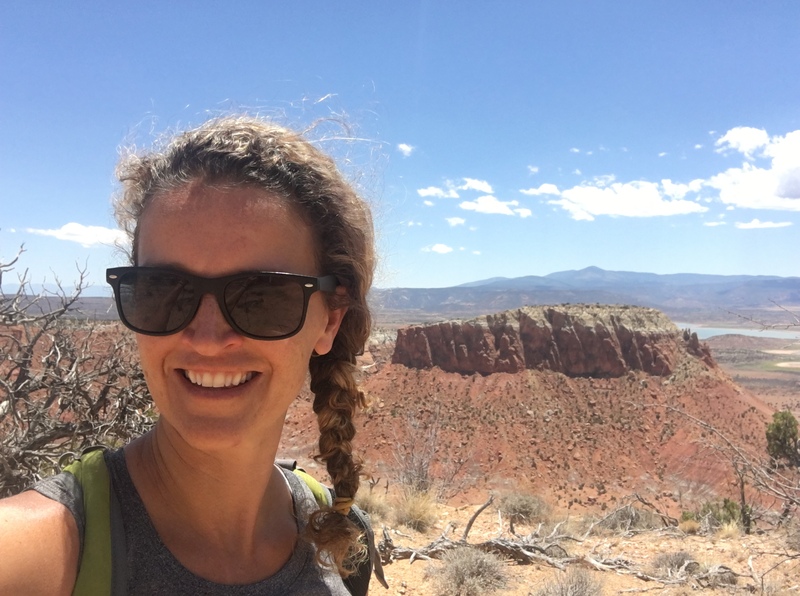 But just a bit past the little town of Abiquiu, New Mexico, was a sign for “Ghost Ranch” – with some amazing cliffs overlooking the valley. “Should we check it out?” I asked. Our cowgirl kicks on the porch of the City Slickers cabin while the van has a moment of reflection. Monica leaves the stress of the city behind as the kids range free. Ghost Ranch was the inspiration for much of Georgia O’Keeffe’s work and inspired us to stay a couple of days. 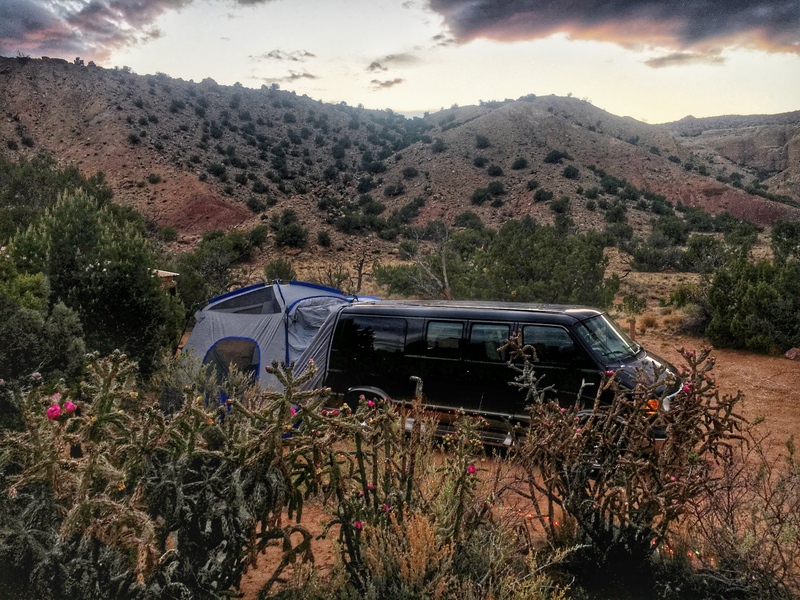 We found a practically empty campground between red cliffs. 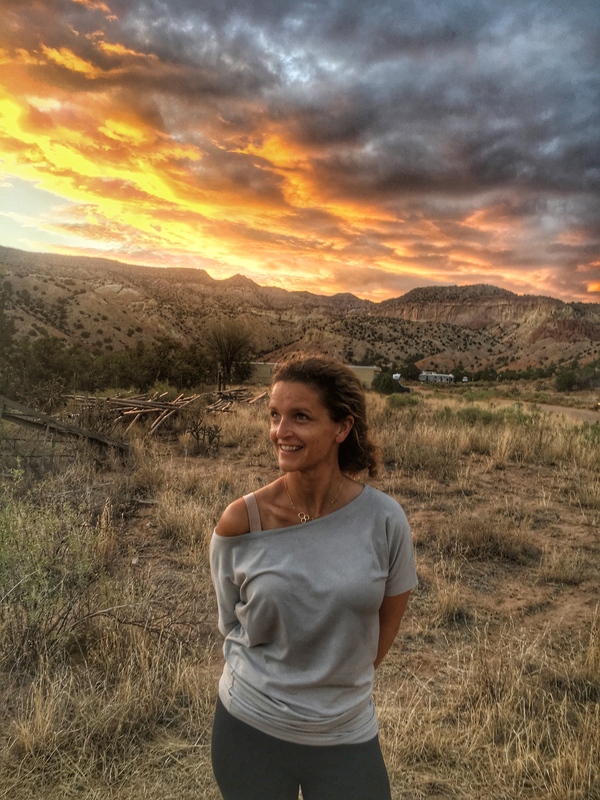 The ranch was buzzing with small groups of people on various natural, artistic and spiritual sojourns. Hiking trails from easy to impossible zigzagged in every direction. One night turned into two nights and even though we were interlopers in this center of desert tranquility, we found our Zen. I debated not giving out the name of this piece of heaven on earth. Ghost Ranch turned me into a decent photographer. Did I mention that Monica climbed to the top of the mesa? Past a rattlesnake? Alone? Her selfie skills are strong. 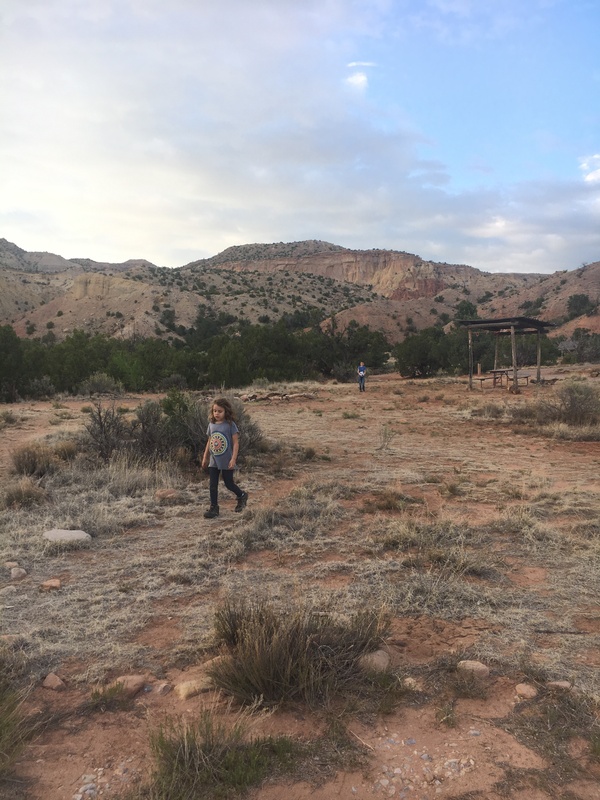 We left Ghost Ranch conjuring up the different ways we could return in the future. 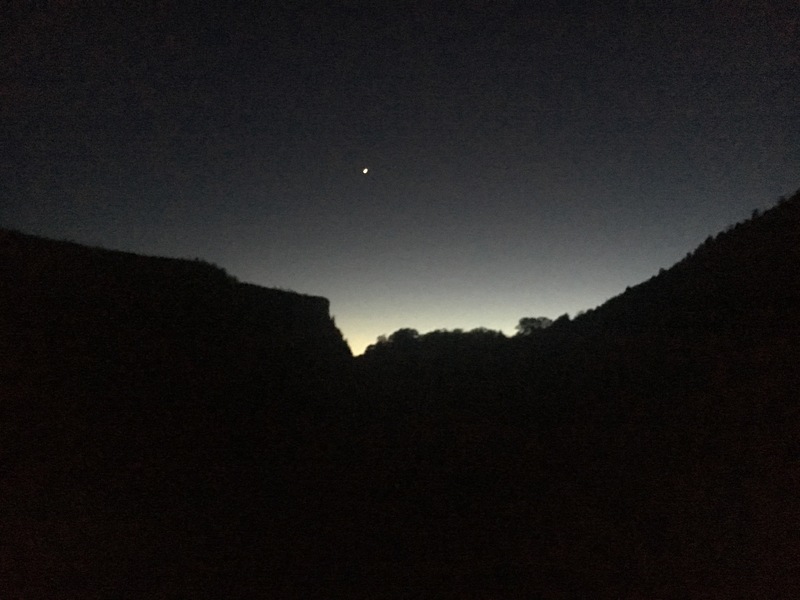 Mesa Verde was finally – belatedly – in our sight. 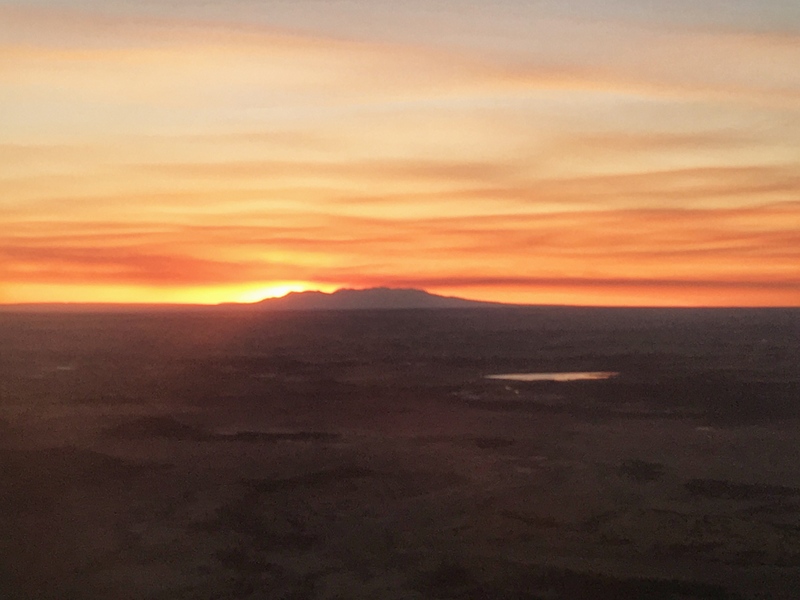 I’ve always thought New Mexico had an underrated beauty, and it continued to get better as we reached its northern border. 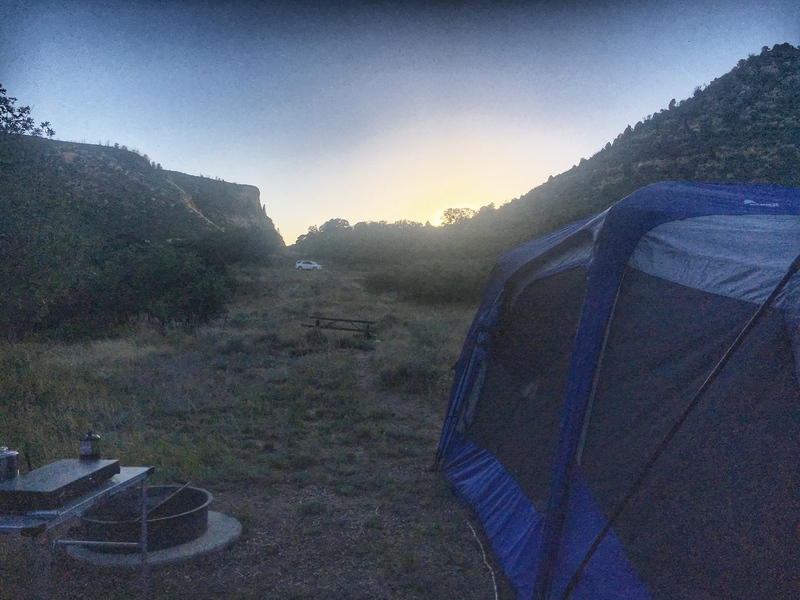 Two days behind schedule, we crossed into Colorado, made our way through a series of quaint mountain towns (had Subway sandwiches made by someone high on pain pills) and then reached Mesa Verde National Park – site of some incredible cliff dwellings that have to be seen to be believed. Mesa Verde is not a terribly busy park. 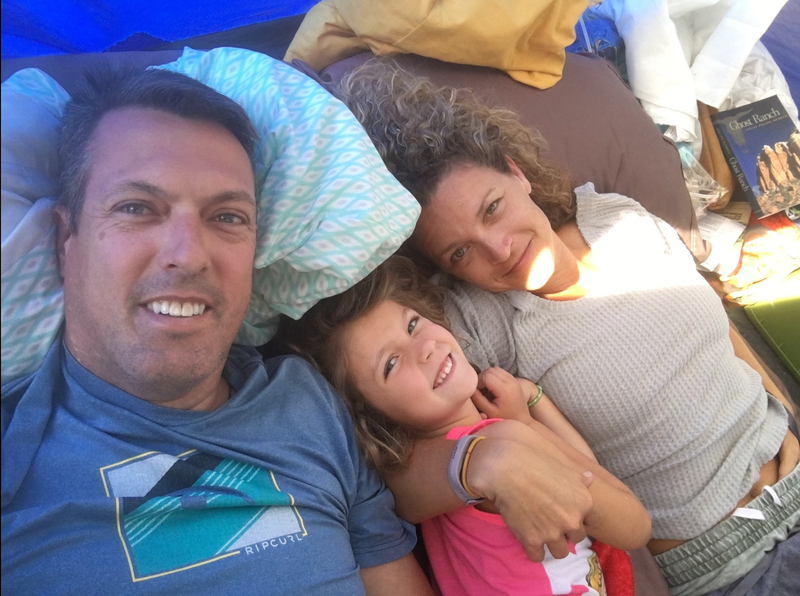 We rolled in without a reservation and booked a beautiful dry campsite (the RV sites were booked up – not that we wanted one). The place had spotty working Wifi in the campground which allowed us to grab little bits of information. Days were hot, evenings were windy and nights were downright (refreshingly) cold. Within 5 minutes of claiming our campsite, our kids had made a half dozen friends. Nothing beats kids in a nearby site. 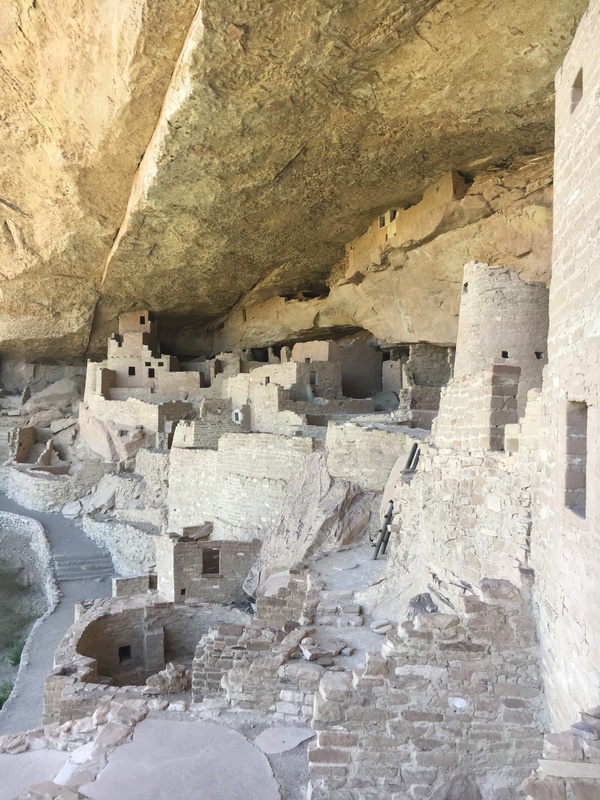 There are several cliff dwellings to see on ranger-guided tours. 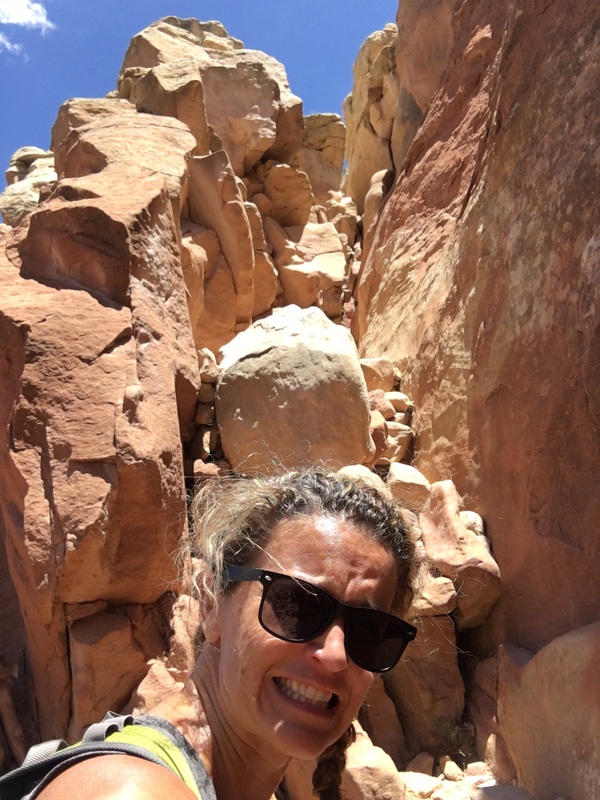 My physical limitations meant that Monica and our son took on the ambitious Balcony House, including its 32 foot-tall ladder, while our daughter and I joined them for Cliff Palace. If I’m totally honest, the short ladders weren’t a problem for me (as I hoped I wouldn’t have a dizzy spell), but the steps back up to the mesa-top at over 8,000 feet elevation, had me evaluating my decision to participate. Fortunately, putting our five year-old in front of me on the ascent gave me an excuse to take it very slowly. It’s probably a good thing I live at sea level in a flat state. At this point in the trip I’m fully aware that I can walk… and… I should keep it there. I’d love to do zip-lines like I did in my 30s, or climb through alpine towns carrying a child, like I did in Europe a few years ago. 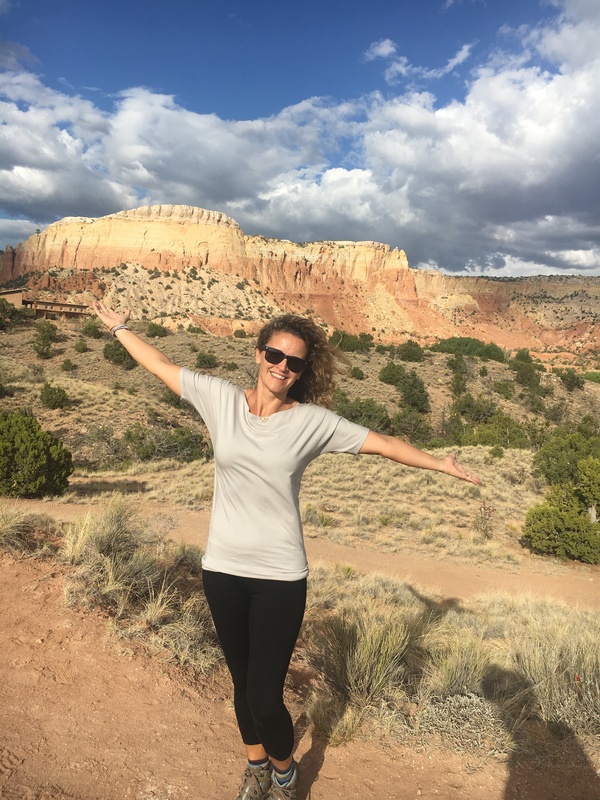 In my daily life at home, I’m used to managing my life with Vascular Ehlers-Danlos, but in these amazing parks, it would be easy to put myself in a position doing something that less healthy looking people can do. I look healthy, but I have the arteries of an 103 year-old chainsmoker. When we pull into a hotel, I usually take the kids to the pool so I don’t look like a schmuck as Monica lugs heavy cargo to the room. She and our son do the adventurous stuff, while I entertain our daughter – a strategy that may hold out another year. On the plus-side, I’m getting some quality time with our little girl, and getting into a great book. I’ve begun to observe that these two-night stops result in a lot of one-day park visits, and some big drives in between. 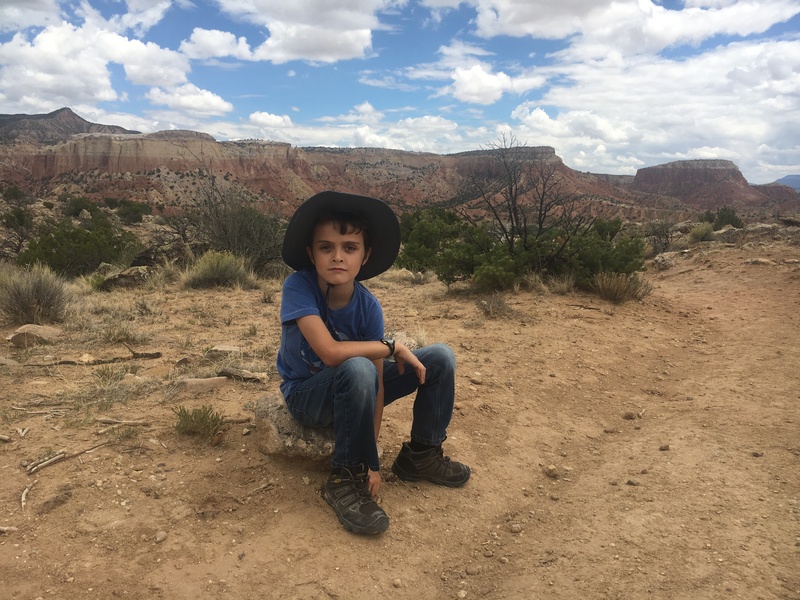 Ghost Ranch and Mesa Verde recharged our batteries. The kids blew off some steam (and so did the parents.) An extended stay in Yosemite is on the horizon, but first we have Zion National Park to explore, and a few days to kill before following the footsteps of John Muir. 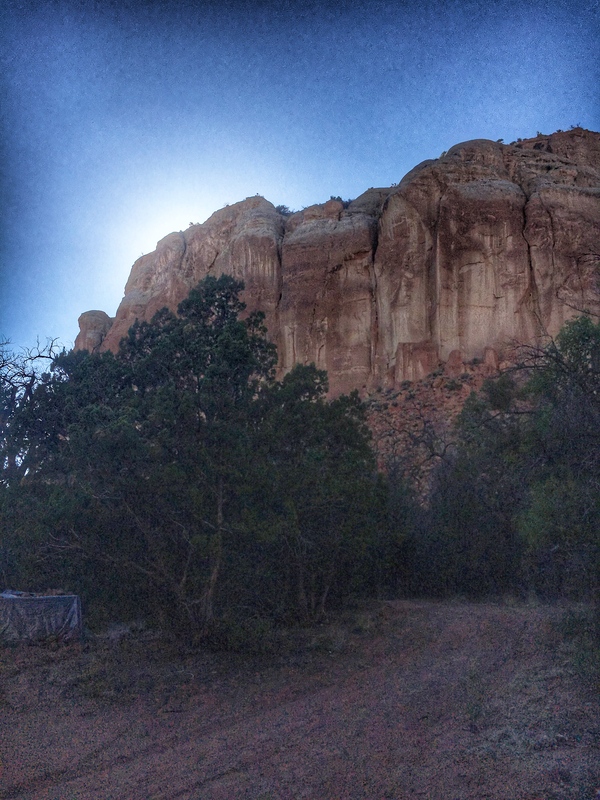 The trails around Ghost Ranch are beautiful (and many are difficult). It’s hot in the daytime, carry lots of water, and only hike them if you’re in good health. Also, watch out for rattlesnakes. 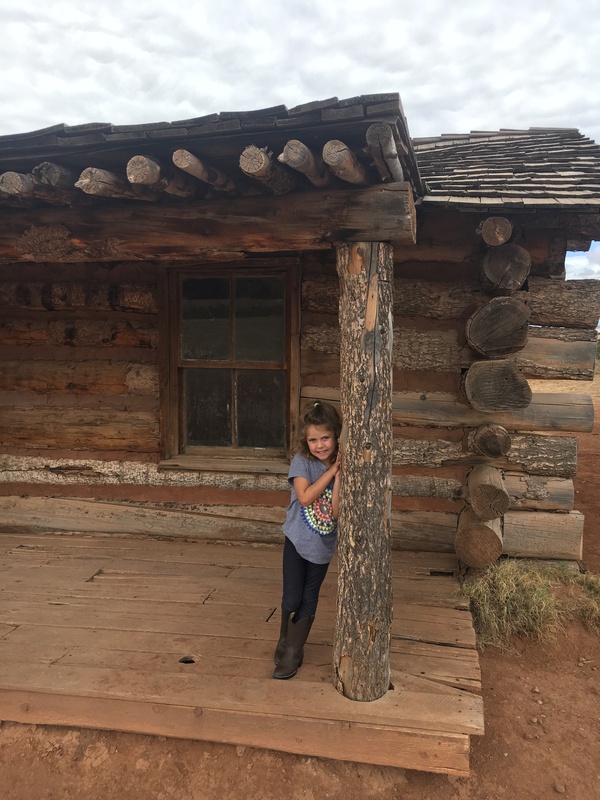 Ghost Ranch has a dining hall! The pool was closed when we were there because they were short a lifeguard. 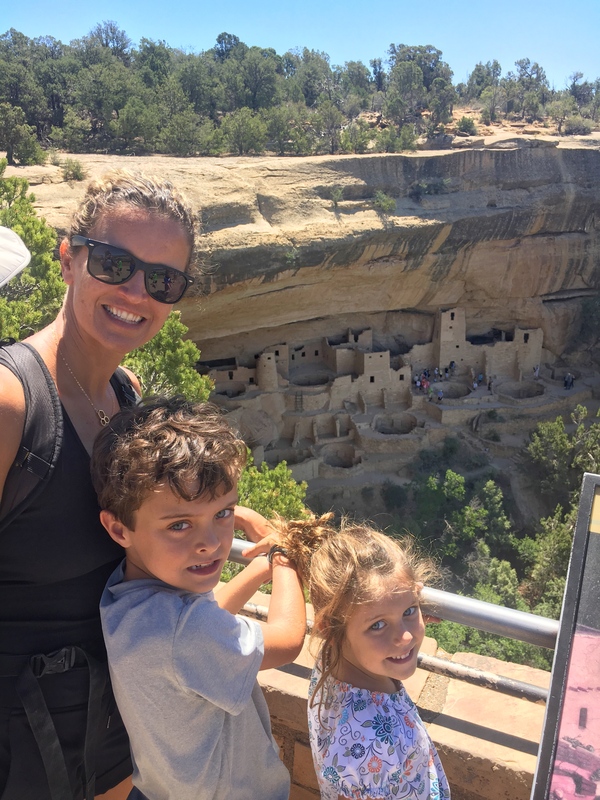 You can only view the dwellings at Mesa Verde up close by booking a tour. I think they cost $5. Get there in the morning and book the earliest tour you can. If you are staying overnight, book an early one for the next day. It gets hot. The Farview Visitor’s Center is a great stop for coffee, lunch and a… far view. The drive to Weartherill Mesa is beautiful. The kids took a nap in the van while Monica knocked out a quick one-mile hike and I did some van-house-keeping. The showers are free. Don’t poop in them. 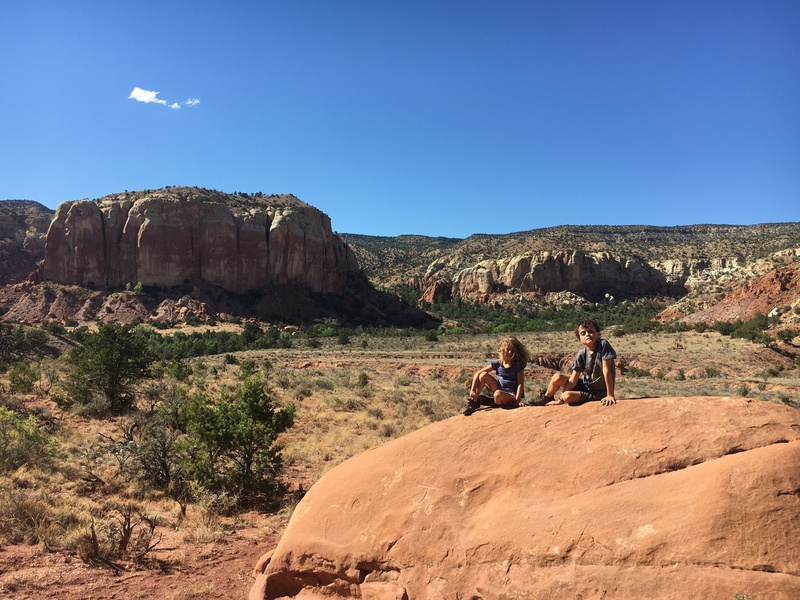 We love Santa Fe, but are there cracks forming in the “adobe” of the family road trip? Pay attention to the one caution shown on the Mesa Verde walls. I fell helping my cats and now am dealing with a very sore coccyx, the tailbone. I have a hairline fracture that certainly is more pain than one would think. I love your travelogue and really wish I were with you. Continue to ENJOY!! 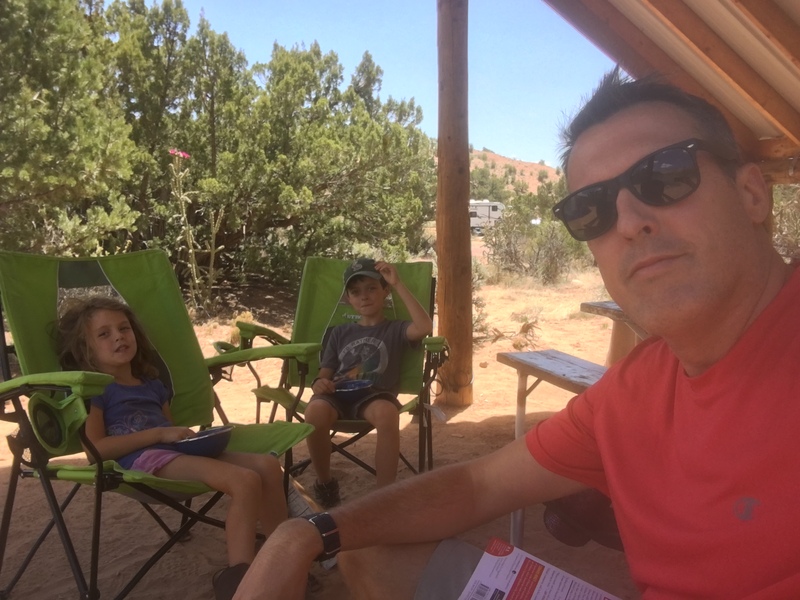 I’m so happy you guys made it to Ghost Ranch. One of my favorite places in the U.S. Enjoying reading about your adventures together!